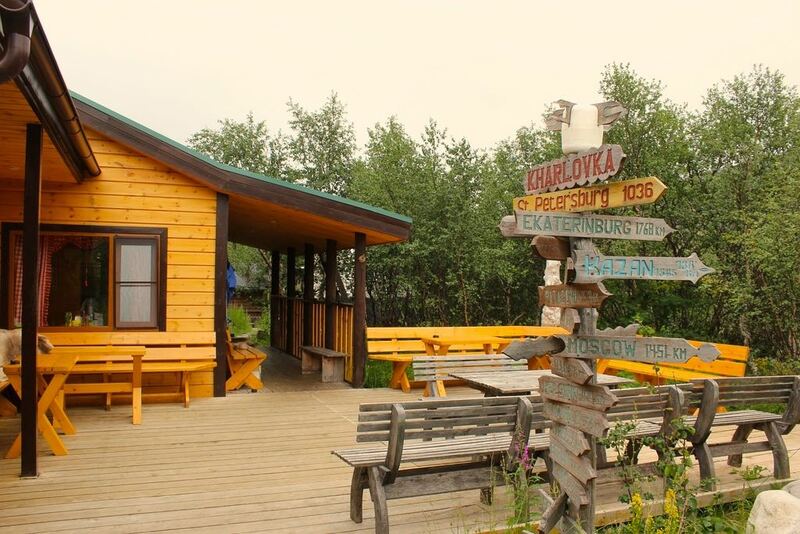 Over the last few years the Kharlovka Lodge camp has been thoughtfully transformed into a quaint little village. All guests are now accommodated in private wooden cabins that are situated in a sheltered birch wood adjacent to the legendary Kharlovka Home Pool. All the cabins are fitted out with full en-suite facilities including warm heaters, personal drying closets, and 220V European two pin plug power points. 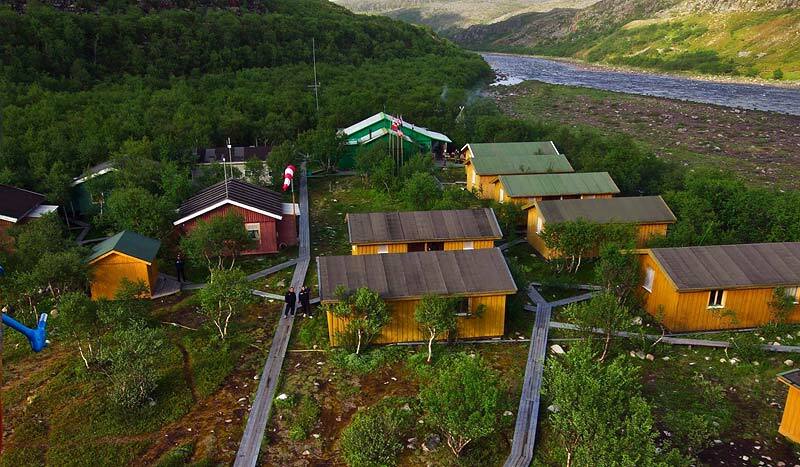 The cabins are interconnected with the main lodge by an intricate network of walkways that preserve the fragile tundra below. A maximum of 7 beats or 14 guests (not including a shared rod in special circumstances) will stay a week on the Kharlovka camp. The food is of the highest standard and the streamside lunches including the hot Russian soups are a welcome daily treat. 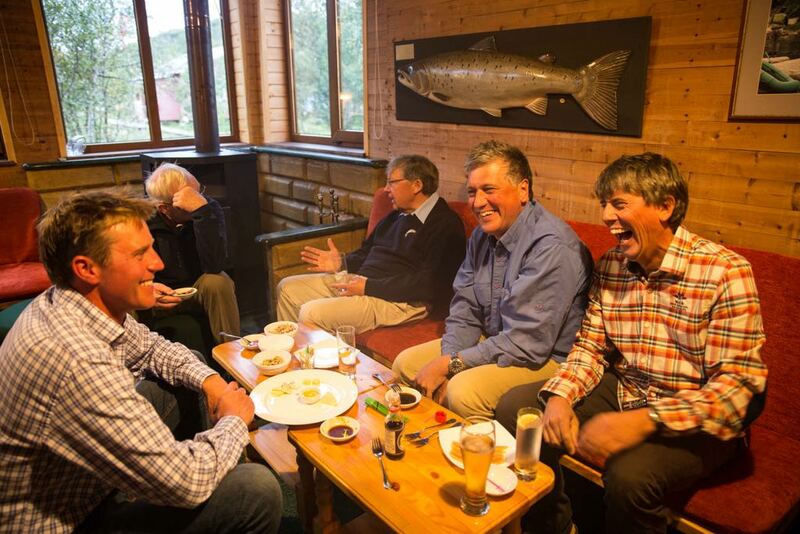 If requested, and many days if even not, there will be a roasting hot sauna prepared for your arrival back to the lodge where rods can relax after a hard day of fishing. 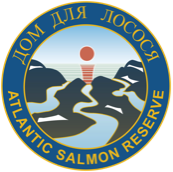 There is also a nicely stocked fly tying facility in addition to a complete selection of fishing gear should you need to borrow anything.